Hello! 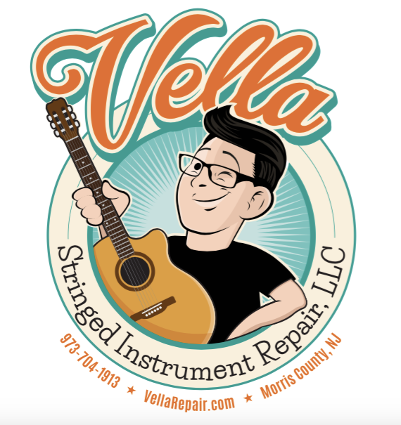 Welcome to the Vella Stringed Instrument Repair website. 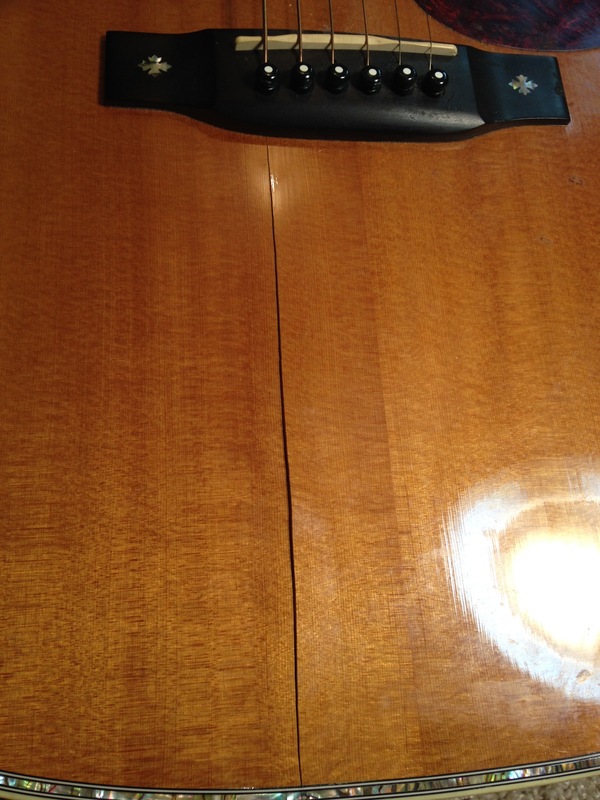 If you are in need of stringed instrument repair or restoration you've come to the right place. 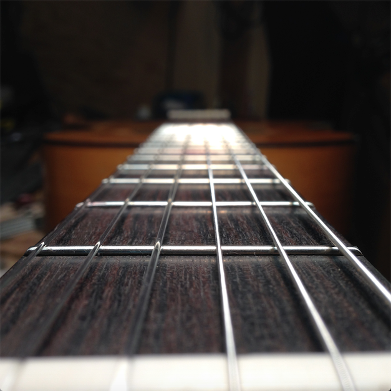 We service all stringed instruments including guitars, basses, violins, violas, cellos, banjos, mandolins, ukes, and more. Chances are, if you can carry it to us we can fix it. Is your ol' stand by in need of a little TLC? Would you like to turn that attic find from trashy to classy? Give me a call, text, or drop me an e-mail, I'm at your service. 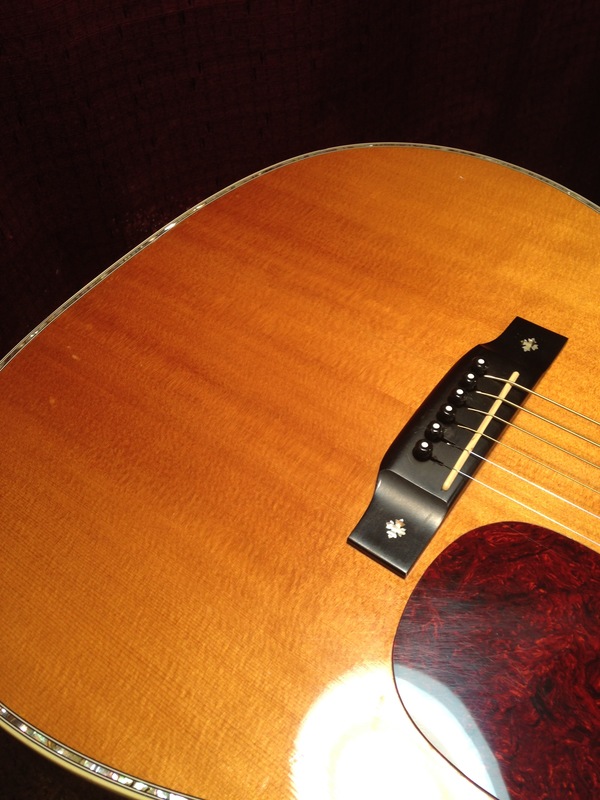 It may be simple, such as a restring, set up, or parts replacement. 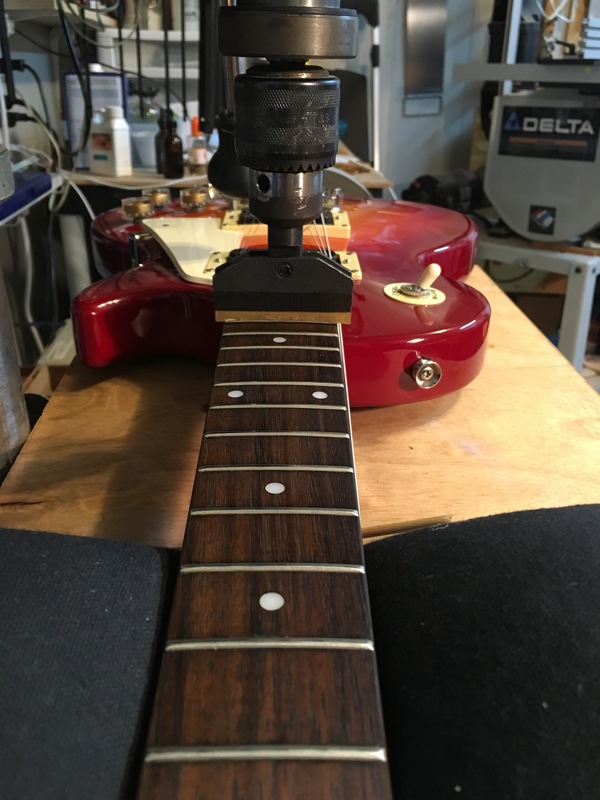 To the more complex like crack repair, broken neck/headstock repairs, electronic work, fret work, and finish repair. Our fully equipped shop and experienced hands are up to the task of getting your instrument back into top playing condition. 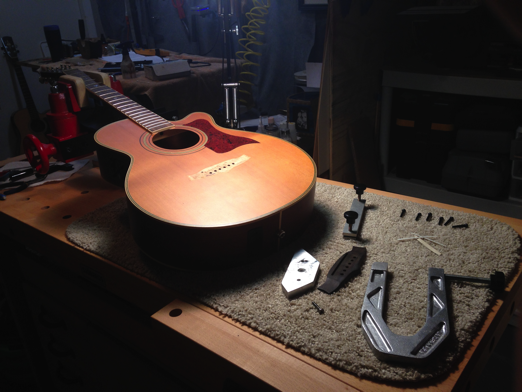 Our services page is just a sample of some of the jobs we perform on guitars, basses, and orchestral instruments. Do you have a family heirloom or garage sale find in need of more than just an average repair? Perhaps a Herculean effort in tandem with unwavering patience and care is what you need. Restoration can be the most tedious of jobs but it is also one of the most rewarding. Taking an old soulful instrument from the brink back to a functioning, beautiful work of art is rewarding in itself. 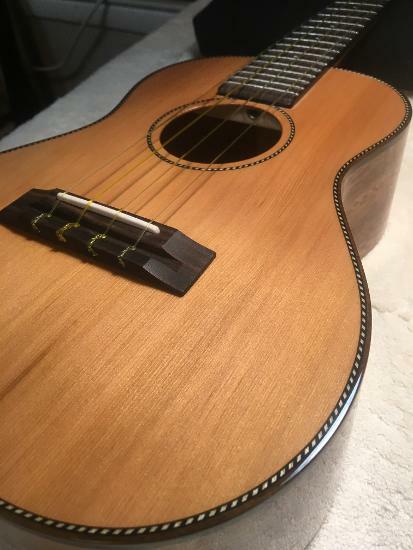 But nothing compares to being able to restore an instrument once coveted by a customer's long lost loved one for future generations to enjoy. Click on the images for a larger view. Check out the recent repairs page for more detailed repair pictures. In my spare time I enjoy spending time with my 4 year old daughter and family, maintaining a tropical fish tank, and sharpening and caring for my tools and machines. Hi, my name is Geoff (Jeff) and I repair stringed instruments for a living. 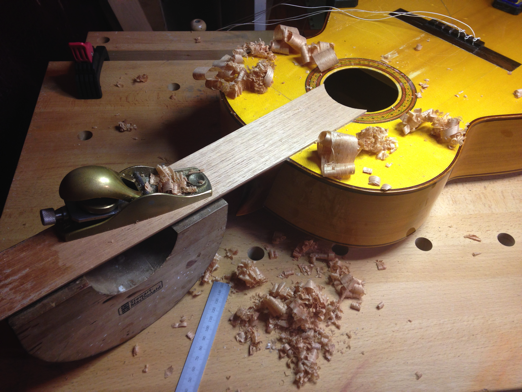 I've had an interest in guitars and woodworking from a young age, but began my formal education in Luthiery in 1999. 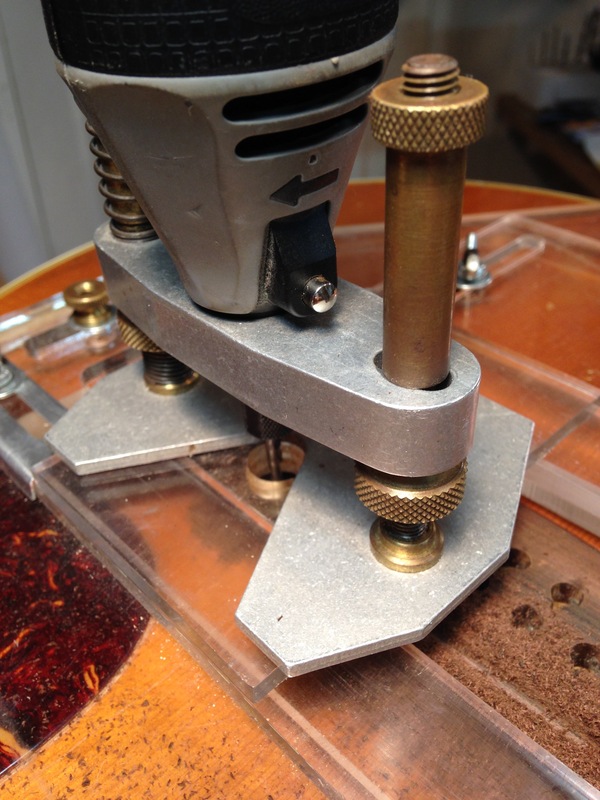 In 1999, I attended Roberto-Venn School of Luthiery in Phoenix, Arizona. The curriculum was based around the building of two guitars from scratch, one electric and one acoustic, under the supervision and tutelage of some of the finest, most creative, and seasoned guitar builders in the country. 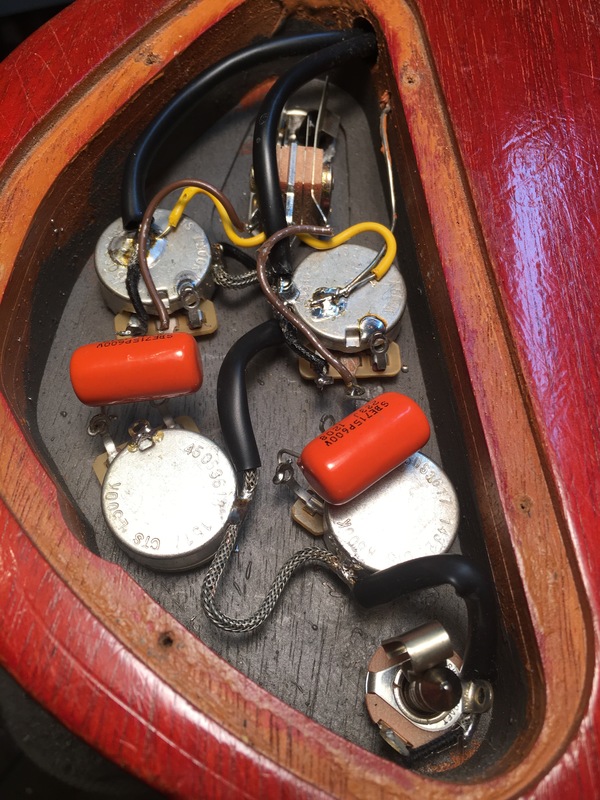 Thru this process I was able to begin to understand the complex structure, geometry, and collaborative nature of acoustic and electric instruments. It was an enlightening and sometimes frustrating experience. Upon completion of the instruments, our course of study included a hands on introduction into guitar repair and business related seminars. This, however, was just the beginning of my education in what would ultimately become my career path. Upon graduation I was immediately hired by the most popular local music store in Morris County. I cut my teeth at this store and logged many hours for several years and countless instrument repairs. I found this experience every bit as valuable from an educational standpoint as my schooling. It was very much an education in how many things I didn't know...yet. The store had faith in me and sent me to be trained in orchestral maintenance and repair at EMMC in Elkhart, Indiana in order to maintain their fleet of rental instruments. In the decade that followed I continued to work for several other music stores in the area as well as a nation wide supplier of orchestral instruments to schools. I also kept a full roster of guitar students and gigged as a singer/guitar player through out NY and NJ. 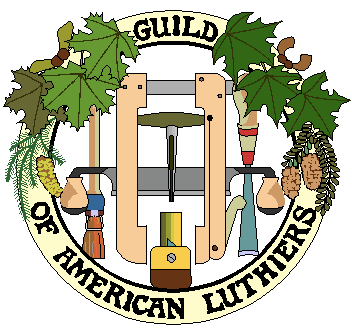 All the while continuing to seek out more knowledge and hone my craft thru the shared information with other craftsman as well as thru my membership in the nonprofit educational organization, The Guild of American Luthiers. Click the link above for more info. 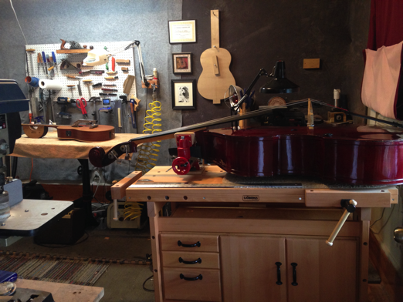 Vella Stringed Instrument Repair continues to gain a steady and dedicated following with each passing year. Thank you to everyone who has supported, and added to the growth of our business, and thank you for taking the time to read this!